With the premiere of two new film versions of the Snow White tale, Blackstone enters the fray with its own adult, edgy, and not altogether serious full-cast exposé of fairy-taledom. At last it can be told! Was Snow White really as pure as the driven snow? Did her allegedly wicked stepmother get a bum rap from the Grimm brothers? What went on behind the closed Dutch doors of the dwarves’ cottage? How many handsome princes does it take to screw in a light bulb? These and other burning questions may or may not be answered in this new pseudogothic audio play that Blackstone commissioned from award-winning author and audio dramatist Yuri Rasovsky. ©2012 Yuri Rasovsky (P)2012 Blackstone Audio, Inc. I think that Die, Snow White! Die, Damn You! : A Very Grimm Tale is more of a mash up of many recognizable faerie tales. Rumpelstiltskin, Little Red Riding Hood, Hazel and Gretel, and of course Snow White. This audio performance proved to be hilarious at times, and is definitely for adults only as it is full of sexual innuendos, cursing and more than likely offensive to many. Sound effects and music is something that I am not accustomed to, it did make this performance much more enjoyable. All that said it did entertain me, making me wonder where on Earth will it go next. What did you love best about Die, Snow White! Die, Damn You!? I loved the comedy, plus the price was right for the length of the show. The inversion of a lot of old time fairy tail characters and strange twists in their stories. I like full cast acting in books. Brings a lot more life to the story like old time drama radio. When snow dies out of stupidity. What would have made Die, Snow White! Die, Damn You! better? This is the first audiobook that I have ever failed to finish. It was a one-joke concept stretched out to two hours. If it had been about 15 minutes long like the similar "Go The F*** To Sleep," it would have been tolerable. It went from cute to tiresome to annoying to intolerable. Would you ever listen to anything by Yuri Rasovsky again? This is not to be taken seriously! 😉 The performances are really good. There address silly cross cultural references that amuse. The narrators all brought the perfect voices for the characters and added greatly to the humor. Do you think Die, Snow White! Die, Damn You! needs a follow-up book? Why or why not? I thought the ending was abrupt. There was no indication of what happened to the wicked stepmother or the duke or anyone other than Snow White. I was very impressed with the performances and the humor in this title. I only wish to see it performed one day. ROFLWTIME (for those non-internet slang users: Rolling on the Floor laughing with tears in my eyes) from the start. Don't expect to find the anything remotely resembling "Snow White a Tale of Terror". This reminded me more of a Vaudeville show or one of the Carol Burnett Show skits that gets slightly out of hand as Tim Conway & Harvey Korman start alibiing. This is the book to read if you are feeling blue and need something to cheer you up or for about any other reason. 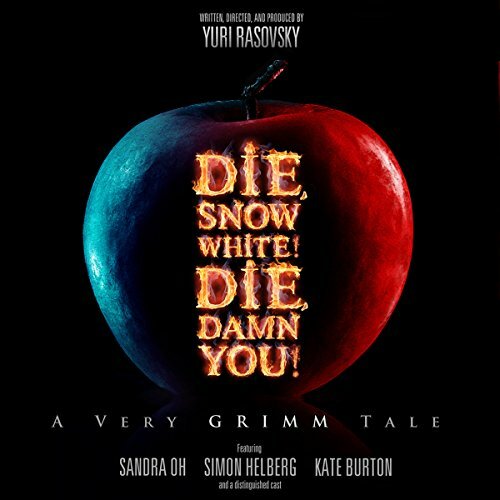 Yuri Rasovsky spins a unique take on the classic Snow White fairy tale story with a few other fairy tales thrown in for fun. The Narration staff was OUTSTANDING! Most of it, i just found to be stupid. it really wasnt that funny. however i did enjoy the performance, they did a wonderful job, but the story was really lacking, i really didint care about any of the poeple involved in this story at all, i guess its just not really what i thought it was going to be.